My father, John Metcalfe and his partner Thomas E. (Junior) Justus created their dealership, Justus and Metcalfe Eq. Sales and Service in 1975. John had worked in and around the farm eq. industry his whole adult life maybe beginning on 7th Ave. in Hendersonville at the Ford Tractor shop, he went on to manage the Allis-Chalmers Corp. owned shop until he decided to buy the dealership in the mid 70's. 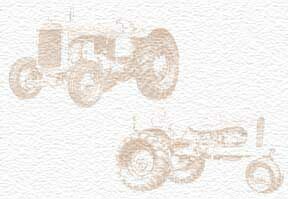 I grew up around these tractors and the men that worked on them and sold them. They sold several other brands including Hesston, Gravely, McCulloch, Green Machine, Yazoo. My dad died of cancer in 1980 leaving my mother, my sister and I with wonderful memories to go on with and for me, an undying love of AC tractors and all things mechanical.